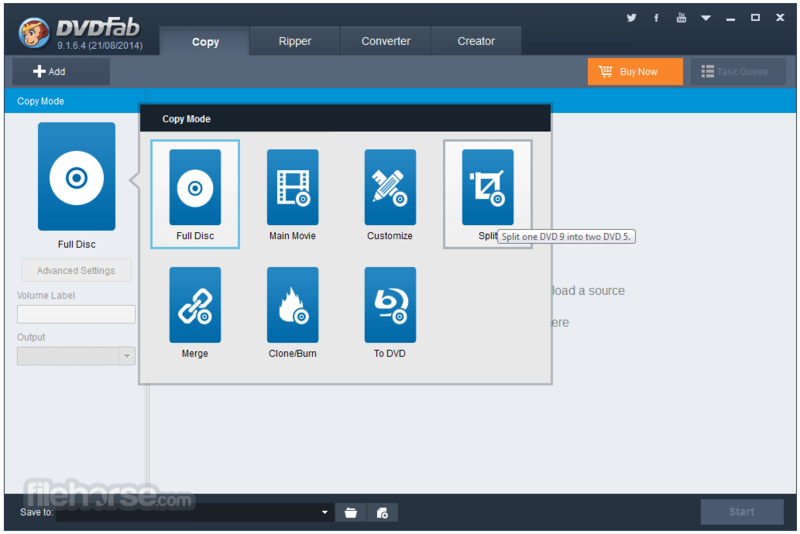 DVDFab 64bit is outstanding professional and powerful tool for you to easily copy, backup, burn, or clone any DVD the way you want. 6 copy modes available for you to flexibly do what you want, and they're Full Disc, Main Movie, Customize, Split, Merge and Clone/Burn. You can use DVDFab SE to backup a disc as movie folder or ISO file on your computer; clone a disc with 1:1 ratio; burn a local movie on your HDD into a disc; merge two movies into one disc; split a disc to two discs; compress a DVD9 to a DVD5 with high quality. Just use it to complete all your DVD copy tasks. All kinds of output discs are supported, including DVD+R/RW, DVD-R/RW, DVD+R DL, and DVD-R DL. 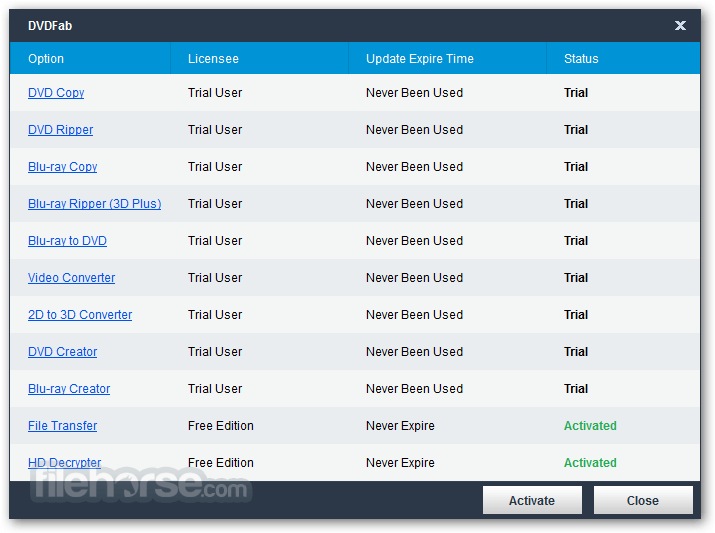 Download DVDFab 64-bit Offline Installer Setup! Compress BD-50 to single BD-25, BD-9 or BD-5, in "Full Disc" or "Main Movie" mode. 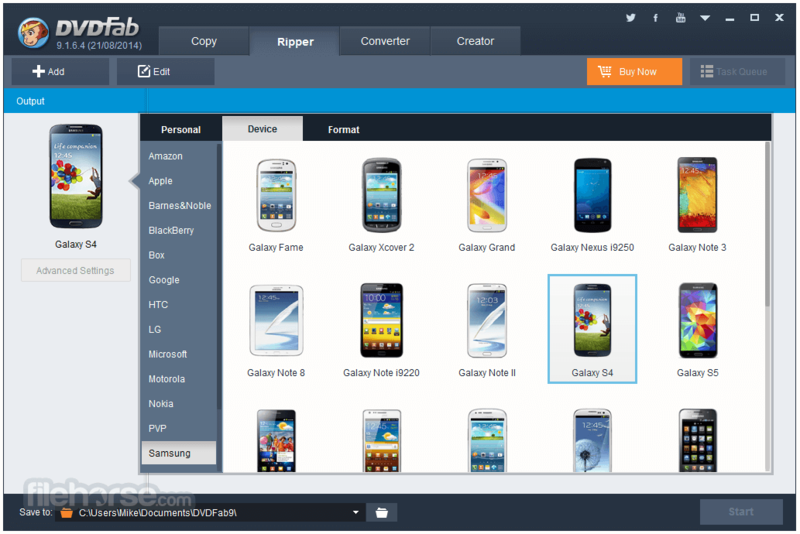 10 "File to Mobile" conversion mode available: Generic, iPod, PSP, ZUNE, NDS, Xbox 360, PS3, Cell Phone, PVP and PDA. More devices support can be added manually. 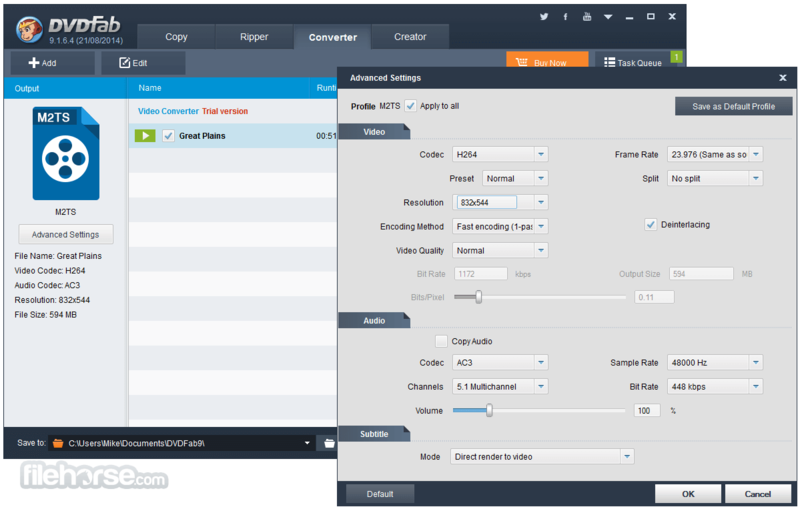 6 "File to File" conversion mode available: to AVI, to MP4, to WMV, to MKV, to FLV and to 3GP. Extract audio to MP3/MP4/WMA/WAV/AC3/DTS with "Audio Only" output type.